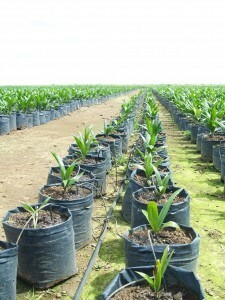 Siva’s (Sierra Leone Agriculture) oil palm nursery in northern Sierra Leone. According to Siva / Geoffpalm spokesperson Vinod Sharma, Siva acquired two large land leases by simply purchasing two companies — Sierra Leone Agriculture and African Oil Palm — from a British national, Kevin Godlington, who had acquired the land for the giant Caparo Group in the UK. 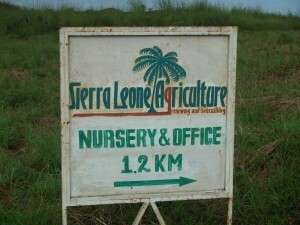 Leases obtained from the Registrar General’s office in Freetown where leases are registered, as well as interviews in chiefdoms, show that between 2009 and 2012, Godlington was involved in six different companies that acquired seven land leases covering about 275,000 or more hectares of arable land in Sierra Leone. [x] Sources in the country say that Siva paid the Caparo Group US $ 5 million for Sierra Leone Agriculture (SL) Ltd and African Oil Palm. The Siva Group also acquired some of its land holdings in Sierra Leone by directly leasing the land from Paramount Chiefs and people that the Chiefs designated as signatories on the leases. It did so with the assistance of the Sierra Leone Investment and Export Promotion Agency (SLIEPA). 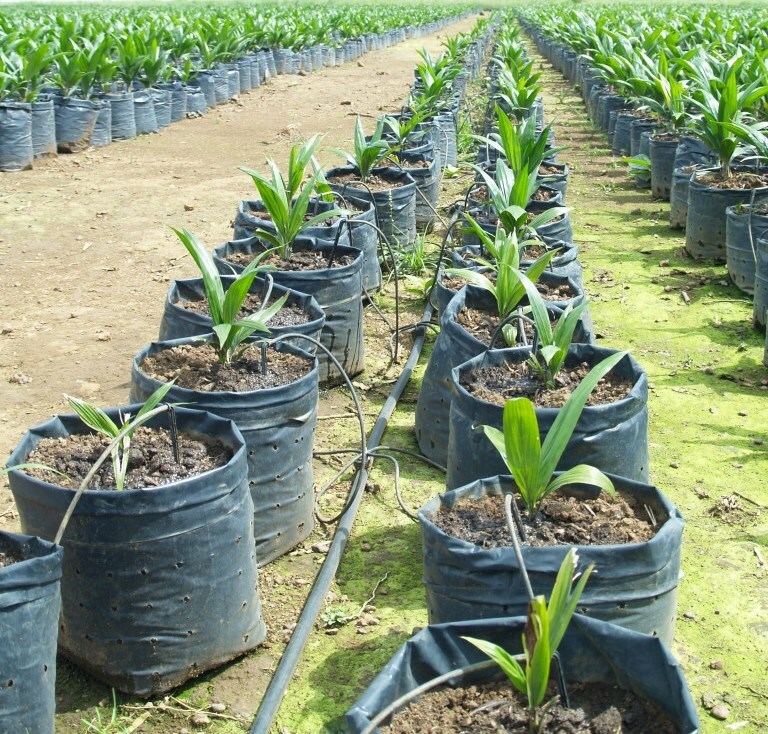 SLIEPA has spearheaded the push for foreign investment in land and the ‘opportunities’ for oil palm and sugarcane plantations in the country with the assistance of the World Bank Group, which provided the consultants to identify lands suitable for sugar and oil palm. On two of the Siva land leases, those for the Kpaka and Galliness Peri Chiefdoms in Pujehun District, two SLIEPA officials signed as witnesses. 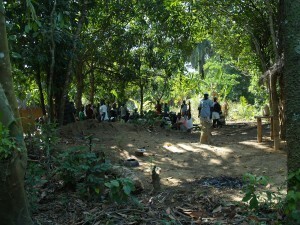 In Kpaka Chiefdom, Pujehun District in southern Sierra Leone, on another of Siva’s land leases, town chiefs, youth leaders and landowners hold meetings to complain bitterly that their Paramount Chief leased more than 19,000 hectares of their land. Next: Billionaires at play in the fields of the poor (part 6): prosperity for whom?